Who will step up in the Beanpot championship between BC and Northeastern? 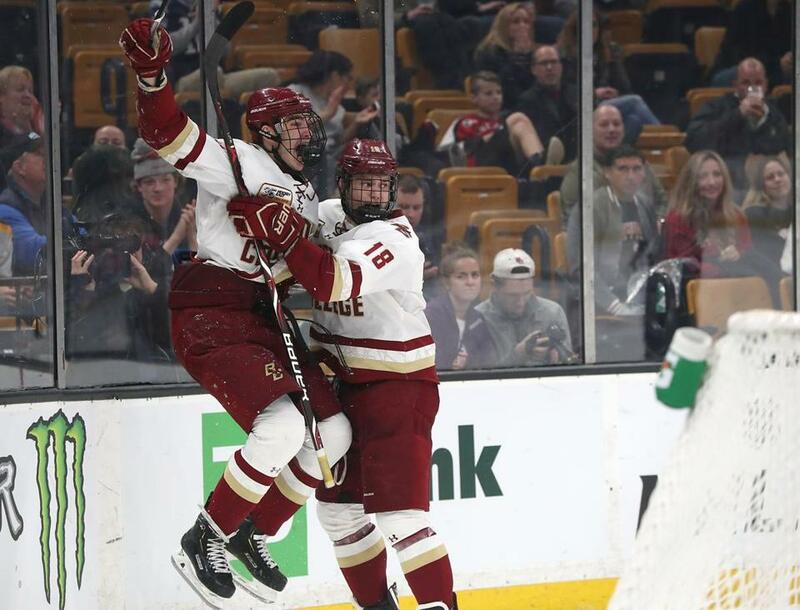 BC freshman Jack McBain celebrated his winning goal with teammate Oliver Wahlstrom in the first round of the Beanpot. Wahlstrom has three goals and five assists in his last eight games, including three multipoint outings. The Quincy native is starting to show why he was selected by the New York Islanders with the 11th overall pick of the 2018 NHL Draft. “He started slow with us. He was a high draft pick, 18 years old, and comes into a new program for him,” said coach Jerry York. “I’ve seen it over the years that it just takes a while to adjust. Expectations are through the roof.